Becoming a successful, professional off-road race car driver is no easy accomplishment. This man is not only at the top of his sport, he’s also competing with bipolar disorder. Justin Peck was 13 when he first started experiencing the symptoms of bipolar disorder. He was babysitting his younger brothers while his mother and stepfather were out on their date night. About halfway through the evening his mind started racing, his energy levels surged, and he started acting strangely. Peck’s brother noticed something was wrong, and called their mother. She tried to calm him down over the phone, which didn’t work. When he woke up the next morning he still felt the same high level of energy. However, a couple of days later he faked sick and didn’t go to school as he was slipping into the depressive side of bipolar disorder. After a period of time, it got to the point where his mother couldn’t handle him anymore, and she sent him to live with his father in Oregon. Peck hated junior high and high school, and was frequently bullied. He knew he was different, didn’t have many friends, and was the “quiet kid” in school. After his high school graduation, he packed everything he owned into his 1975 Chevrolet Nova and drove back to Utah. Peck had always been a fearless kid, and found an escape from his psychological torture through off-road racing. He first started on motorcycles at age 17 before making the switch to cars. “The helmet goes on and all of the junk that I’ve thought of and that has been laying me down, whether its the depression or whatever, once the helmet goes on, all of that goes away,” Peck told The Epoch Times. Bipolar disorder took its toll on Peck over time, and he reached a breaking point in 2001. For several months, he had been going through a profound depressive episode. Then he woke up one morning and kissed his wife and kids goodbye. He got his dog, got into his truck, and found himself driving up Payson Canyon. After 20 minutes, he had reached the top. Peck was sitting in his truck, listening to music, and letting his dog run, which were the three things that had always made him happy. On this particular morning, they weren’t working anymore. Without thinking, Peck reached into the center console of his truck and pulled out his pistol. He then loaded it, put the muzzle to his head, and pulled the trigger. Click. Nothing. He pulled the slide back, ejecting the cartridge from the chamber. He looked at the primer, and the firing pin had in fact struck the round. The bullet was a dud. Peck had shot thousands of rounds through this pistol without ever having it misfire. This time, it did. “When the click happened there was first a huge adrenaline rush. Second off, there was anger,” Peck explained. He put the bullet and the gun back into the center console, and drove back down the canyon. He called his doctor, and explained what had just happened. The doctor cancelled all of his appointments, and met with Peck. They spoke for a couple of hours, and the doctor misdiagnosed him with depression and prescribed him antidepressants. For people who struggle with bipolar disorder, antidepressants are the exact opposite medication they are supposed to take. For Peck, the next several years were hellacious. It wasn’t until he was at a doctor’s office with his sick daughter that he realized he was bipolar. He was in the waiting room when he noticed a pamphlet that featured a woman in despair pulling her hair out with the words “Manic-Depressive” on the cover. He picked it up, and started reading it. He read the questions in the pamphlet and kept checking the yes box. He handed the questionnaire to the doctor, and that was when they determined he was bipolar, and he was prescribed the proper medication. Peck still needs to adjust his medication, and continues to contend with mania and depression. However, for Peck, driving is the best medicine. 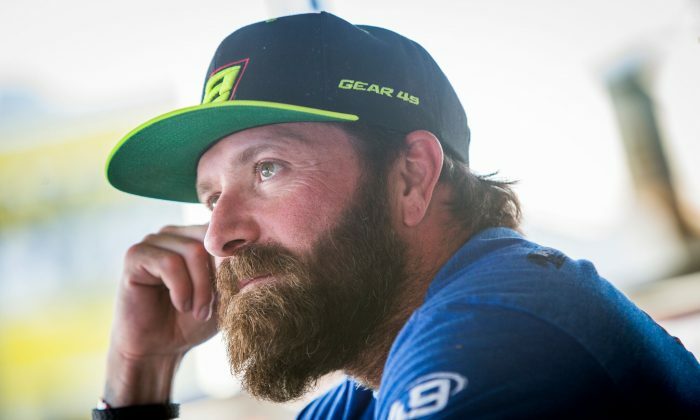 “There is just something about the racing scene and atmosphere and how it makes me feel and what it does to my mind that is literally the most incredible thing ever,” Peck said. 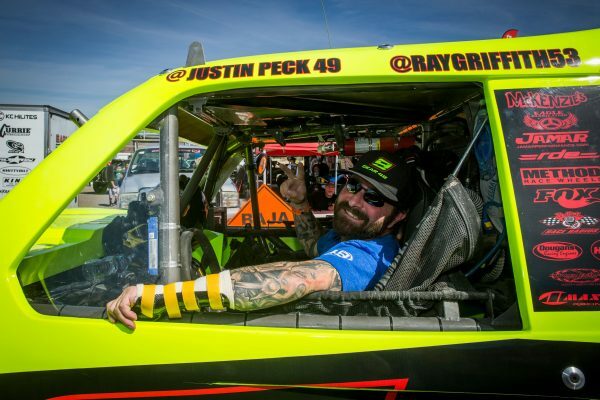 Not only does Peck race, he strives to help others who are contending with bipolar disorder and other mental health conditions through speaking engagements across the country. He’s also written a memoir entitled “Bulletproof” to educate others about bipolar disorder and his own experience. Peck currently has 47 races on his schedule, and will be in a race car for the next 11 weeks. “It’s incredible. It’s the best thing ever,” Peck said. Can Yoga Play a Role in Treating Bipolar? A recent survey suggests that yoga can be a substantial help for people with bipolar disorder, though the practice isn’t without risks. Manic depression: Catherine Zeta-Jones revealed that she suffers from manic depression, or bipolar disorder. What is manic depression, and what common misunderstandings are myths?